How to Write a Research Paper on Spiral Curriculum. In Spiral Curriculum, students are taught the basic concepts of a subject and, with each new school year, learn more complicated details until the subject has been mastered. Education research papers examine the value of spiral curriculum and compare it to various other curriculum types. The education writers at Paper Masters write actual curriculum so they know the elements involved when examining a posibility such as spiral curriculum in the classroom. A child in first grade might le arn the basic scientific fact that many plants use the sun's energy to generate their own food. In the second grade, this student might learn that the plant this process, photosynthesis, takes place in the plant's chloroplasts. At later grades, the student may learn to recognize different parts of the chloroplast organelle, including the outer membrane, granum, lamella, and stroma. This approach to learning works well for many students because it lets them master basic concepts before moving on to more complicated details. In the example above, the student gets introduced to the most basic concept when she first enters school. After learning that concept, she is ready to acquire additional knowledge about the subject in later years. Eventually, students who keep up with their studies can amass large amounts of information by stacking new lessons on top of extremely basic concepts. This helps ensure mastery and allows educators to recognize a student's failure to absorb classroom materials before moving on to much more complicated ideas. A potential negative of this approach, though, is that students who fail to understand one year's material could face significant challenges in the following years because they don't have adequate mastery of the basic concept to understand more advanced, detailed material. 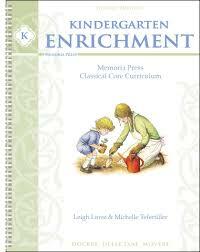 Cscope Education - Cscope Education research papers discuss the strengths CSCOPE curriculum provides students from kindergarten though twelfth grade. Designing Curriculum - Designing Curriculum research papers discuss essential elements that must be included when designing a curriculum. Common Core Curriculum - Common Core Curriculum research papers discuss 3 required elements of common core curriculum for any school district in any state. Curriculum Integration - Teachers use curriculum integration to teach students about several subjects at once and show them how to apply the things they learn to real-world situations. Curriculum Implementation - When implementing a new curriculum, there are a host of factors that must be considered. Fibonacci Sequence - For instance, a shell can have a spiral that resembles a graphed form of the Fibonacci series. Lesson Plan using Brown Bear Brown Bear - Lesson Plan using Brown Bear Brown Bear Research Paper previews a sample paper order placed for a lesson plan and explains the format of the lesson plan, and materials needed. Curriculum Alignment - A research paper on Curriculum Alignment discusses how you would involve all stakeholders in the process of curriculum alignment no matter where the instruction may take place. Model Health Education Standards - National Health Education Standards research papers discuss the major reasons why health is taught in schools. Education Standards by State - Education Standards by State research papers discuss the varying education standards from state to state in the United States. Paper Masters writes custom research papers on Spiral Curriculum and discusses the approach to learning that allows students to master basic concepts of a subject before moving on to more complicated details.